Set in the late 70s con man Irving Rosenfeld (Christian Bale) meets a young woman, Sydney Prosser (Amy Adams). The two join forces, pretending to be an investment firm, and in turn steal investors money. Richie Di Maso ( Bradley Cooper) is an FBI agent who busts the con artist couple. De Maso forces the couple to help him con corrupt politicians and the mayor of Camden New Jersey. His plot forces the couple to deal with corrupt politicians and vicious mobster Victor Tellegio (Robert De Niro). They are faced with helping him or going to prison. As De Maso's plan unfolds the relationship he has with Rosenfeld and Prosser puts a strain on their own relationship. They are faced with conflicts of morality. The movie is a classic caper movie with plenty of twists and surprises. 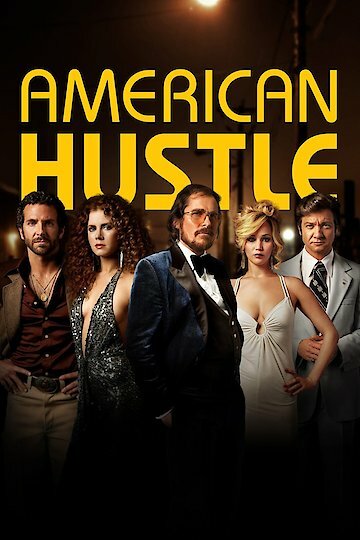 American Hustle is currently available to watch and stream, download, buy, rent on demand at FX+, FOX, FlixFling VOD, Amazon, Vudu, Google Play, FandangoNow, iTunes, YouTube VOD online. Critics and ticket-buyers rarely agree about which movies are the best, and this week's Oscar nominations showcased the disconnect between box-office success and artistic accolades. The Academy loves "Her," but before it was nominated for Best Picture, audiences barely noticed it. Maybe you were on the fence about going to see "American Hustle" in theaters this holiday season. Maybe you were sitting there thinking, "Eh, maybe I'll wait until it's out on DVD." Well, we have a little something that might change your mind. In an interview with E! News, Amy Adams opened up about the challenges and joys of starring in David O'Russell's latest movie.